Metronet Archives · Stop the Cap! Exurban communities in northern Illinois bypassed for upgrades from second-rate cable companies and considered too-small-for-fiber by AT&T are clamoring for a third option that will deliver fiber optic broadband. In the Fox River Valley, west of Chicago, Sugar Grove residents are hopeful that a midwestern upstart that specializes in taking on larger cable and phone companies in the region will come to town with gigabit broadband and better service. MetroNet is currently surveying residents of this fast-growing village of 9,000, looking for future customers willing to put down deposits of $20 to join a “MetroZone,” an area where MetroNet sees enough potential to begin construction of its fiber to the home network, over which it sells television, phone, and internet service. The Kane Country Chronicle reports local resident Wendy Betustak can’t wait. Betustak has been a customer of both AT&T and Mediacom, and both underwhelmed her. While both Mediacom and AT&T have been promoting their investments in upgrading service, those benefits often take many years to reach smaller communities inside their service areas. In some cases, those upgrades will never arrive. 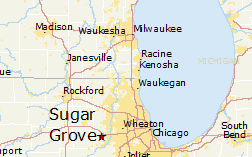 Sugar Grove is just one of several exploding exurban communities in the far western suburbs of Chicago. As residents migrate further away from the city center, they expect services to migrate with them. But when essential utilities are in the hands of private companies, smaller towns and villages are often frustrated to hear there is not enough Return On Investment to provide 21st century quality service. But MetroNet’s business plan is more forgiving, in part because it recognizes it will almost always compete head to head with one or two long-established telecom companies. It also does not hurt to have neighboring communities already wired up by MetroNet, which serves Batavia, Geneva, Montgomery, North Aurora, Oswego, and St. Charles. MetroNet has already installed fiber throughout the village of Sugar Grove and plans to install more. They might want to hurry. Residents are encouraged by the company to visit www.metronetinc.com/metrozone and select Sugar Grove (or another community MetroNet is considering) and create an account. A refundable $20 deposit allows MetroNet to know that a would-be customer is seriously interested in getting service. 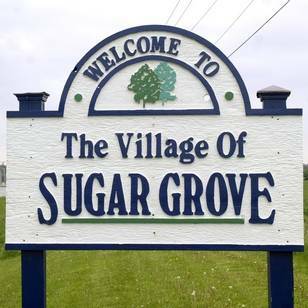 Right now, MetroNet estimates around 10% of Sugar Grove residents have placed deposits. MetroNet’s broadband customers blow past Mediacom and AT&T’s offerings with 100/25 Mbps internet service for $49.95 a month. MetroNet’s top speed – 1000/250 Mbps costs $89.95 a month. The usual alternative for most towns and villages unwilling to consider building their own broadband networks is to wait for the cable and phone company to upgrade service, which could take years in smaller communities. But a growing number of small commercial ventures are starting to offer fiber broadband service in a growing number of communities to meet the demand for better and faster broadband service. 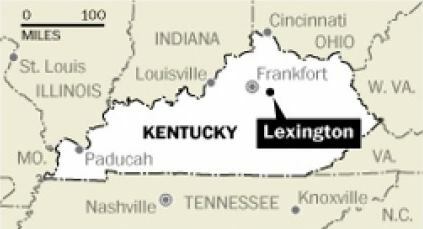 An Indiana company will spend between $70 and $100 million building a fiber-to-the-home network delivering gigabit broadband speed in Lexington, Ky., partly in response to months of consumer dissatisfaction with Charter Communications’ Spectrum service. MetroNet could make Lexington the largest gigabit city in the country, according to the city’s mayor Jim Gray. “Santa Claus is coming to town,” Gray said. Headquartered in Evansville, Ind., MetroNet provides internet, phone and television service across a 100% fiber optic network in 35 communities in the midwest — mostly in Indiana and the western suburbs of Chicago. The company started operations in 2005, wiring the community of Greencastle, Ind. Since then, it has grown with the financial support of billionaire investors including Microsoft founder Bill Gates and Nike’s Phil Knight. Oak Hill Equity Partners, a private equity firm, has a financial interest in MetroNet, along with investments in WOW!, Atlantic Broadband, Wave Broadband, and Cincinnati Bell. MetroNet may have selected Lexington because it has a poorly received cable operator — Spectrum, and Windstream, a competitively inadequate phone company. Windstream does not provide the kind of service AT&T’s U-verse and AT&T Fiber offers in other Kentucky cities. All of Lexington’s residents could get service from MetroNet is as little as three or four years, because the company has agreed to wire the entire urban service area, a departure from the “fiberhood” concept introduced by Google, wiring individual neighborhoods only after a sufficient number of customers pre-register for service and pay a deposit. The project is likely to win a quick approval from the Lexington-Fayette Urban County Council, allowing construction to begin in January. Because MetroNet sells television service, it will have to apply for and receive a franchise from the city. a $9.95/mo “technology fee” also applies. Although most welcome the competition, some noticed MetroNet does not intend to sell service at fire sale prices. Lafayette, Ind. is just one city council vote away from securing fiber broadband competition for the community of 67,000 residents in west-central Indiana. 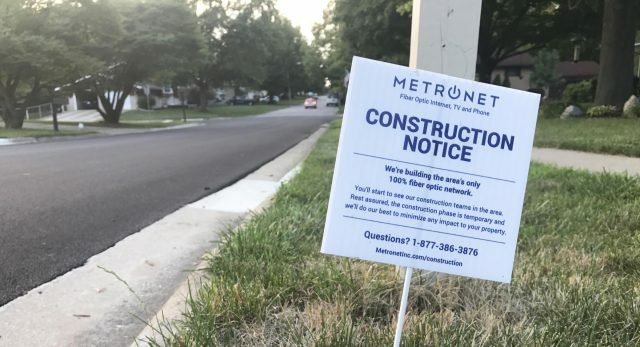 Fiber provider Metronet is interested in providing broadband, television, and phone competition to business and residential customers who currently have one choice for cable: Comcast. Frontier provides satellite and DSL broadband to parts of the community as well, but neither stands a chance of competing against the fiber speeds Metronet is capable of providing Tippecanoe county. Two previous city council votes were in favor of the Metronet project, which will not cost the city a dime. Metronet intends to start operating in more populated parts of the community and build its network further out over time. The city will hold a right of refusal on the lines, which means if Metronet were to fail or seek to sell its operations, the city can control who ultimately runs the fiber infrastructure. In the past, cable operators have ended up launching predatory price wars against new competitors, eventually buying them out and raise prices back to pre-competition levels. The final vote by the city council will be held Dec. 3. Stop the Cap! first reported on this venture in a piece published in January.